A few days ago, economic media such as Ejeprime revealed new data about companies that are relocating their offices in Barcelona, particularly companies that are related to technological innovation. The figures focus on one fact: 52 tech companies have hired a total of 77.000 m2 in the city between the months of January and September, which represent 26% of the total hiring space in Barcelona. Therefore, the trend of the past six years, with internationally renowned names such as Amazon, Everis, o HP, keeps up. The hiring volume of workspaces in the whole city, specifically in the city center, reinforce the situation. In this regard, we can observe the figures of business centers such as Gran Via Business & Meeting Center, which finds itself with 100% occupancy in their work areas, and keeps a waiting list of future clients for 2019. Susana de la Rubia, Center manager of Gran Via BC, sees the relocating situation as “a trend that started a year and a half away, that we can see frequently”. The main causes that explain these relocations are, in her view, the change of focus and the search for a greater profitability of the space. 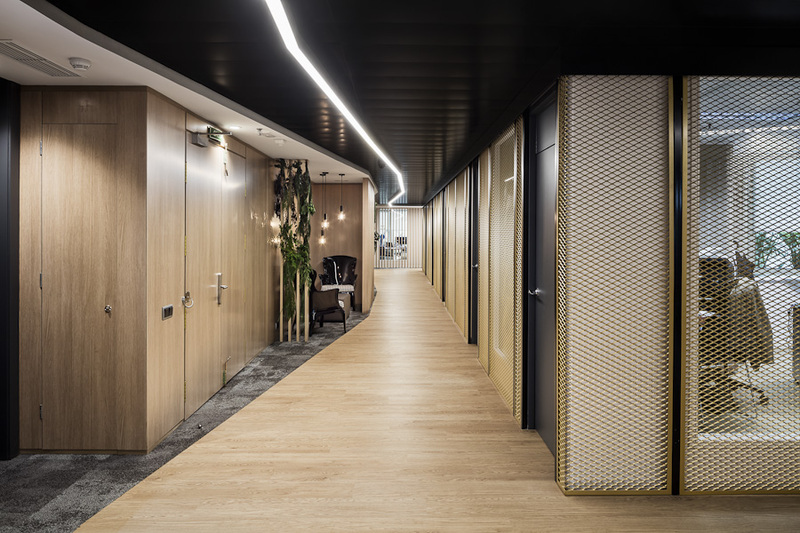 “The maintenance of a conventional branch office can generate many empty square meters and extra expenses”, says De la Rubia as an example of the disadvantages of a conventional office. In fact, companies that are users of the center have between 6 and 15 workers, on average, “and you don’t need a 500 m2 plant for that”, points out the Center Manager. The additional costs that represent supply renting and area maintenance are added to these aspects of the traditional office. This can generate extra costs and, at once, a lower profit if the whole hired area is not used. For instance, in the case of tech companies, it is assumed that the quality of available computer services in a workplace must be high-level, which generates important energy and tech support costs in any situation. This is why Gran Via BC has turned technology into one of their strengths: “The customer finds state-of-the-art technology, already customized to their needs, the minute they get here”, says De la Rubia. Through prior advice when the workspace begins to be used, every company can manage the computer and communications equipment. This way, they can head into their new space on the first day, with all the logistics prepared by the center, and ready to use. When you move into a workspace like Gran Via BC, the price becomes ‘all-inclusive’, and the number of services depends on the needs of the company: “Nobody is forced to pay for an area or service which is not used or not needed”, clarifies the Center Manager. With more and more national and international companies moving to Barcelona, the experience of Gran Via BC has shown their managers that the three existing key points in the trend of hiring workspaces, regardless the origin of the customer, are: flexibility of the job position, adaptability in service hiring; and cost-efficiency.